The useful life of your product and its components could be affected by solicitations received during the packaging phase, transportation and depot operations in general which could determine a failure caused by arising defects not visible or predictable in the production phase. Moreover, the environment in which the products «operate» is affected by sudden temperature variations, which often generate quality problems. ACS, thanks to its wide experience, has developed a huge range of products to test all type of specimen and to detect unpredictable future defects that may arise after years of operation. 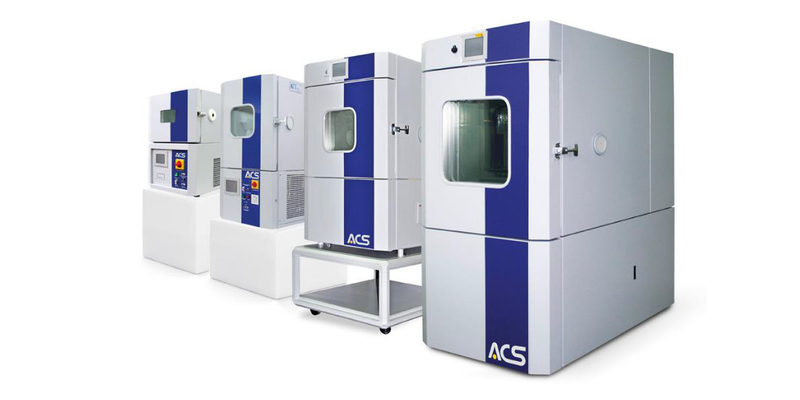 ACS Compact chambers provide high performances in limited space. Small footprint, easy installation, low power consumption, low noise level and full basic features including the inspection windows, makes this chamber the ideal choice. A compact unit easy to be installed in any R&D Department capable of testing small components and products. The product line has 4 different models, depending on the volume chosen, starting with 16 l model up to 200 l model, to fit each customer needs. Please click on the following link to open the Compact Datasheet. Compact enclosure: excellent protection against corrosion achieved by priming and powder coating (thermosetting powder polyester resin) Grey RAL 9006. Realized into an air treatment duct positioned on the end wall. Thermo-regulated air flows into the air treatment, passing through the above mentioned elements before entering the test chamber. Mechanical cooling based on single stage system (-40° C) or cascade systems (–70° C). 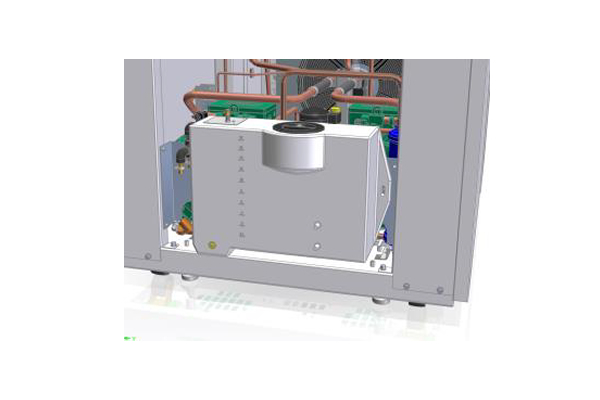 The cooling system is realized with semi-hermetic alternative type compressors with an advanced and high quality design. The main body is made of special cast iron; the cylinders and light metal alloy pistons are easy to dismount. The cooling system is complete with an automatic injection type protection system for the compressor. This protects the compressors when they are cooling down from high temperatures. This system allows a self-regulating cooling of the compressors, in order to avoid high temperature (no damages to motor winding). The chamber is heated by means of electrical heaters, protected by safe thermostats that disconnect overall chamber main power components (such as compressors, fans and heaters) in case of accidental over-temperature. Direct humidification occurs through an electrical vapour humidifier with an orifice arranged in the airflow after the recirculating air fan. This ensures aerosol free humidification. 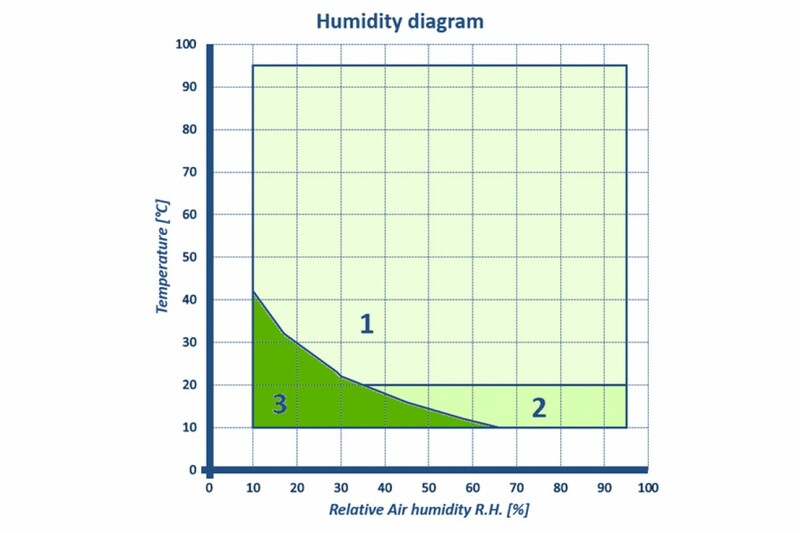 The humidifier is controlled by a dedicated algorithm for better reliability. The chamber is equipped with a water storage tank (about 18 l capacity) and a water connection on the back of the chamber for automatic refilling. In order to reduce water consumption, water recycling can be activated through a button on the control panel (only possible when the specimen does not contaminate the water during the test). Dehumidification is performed by the condensation cooler (dew point cooler) directly connected to the refrigeration circuit. 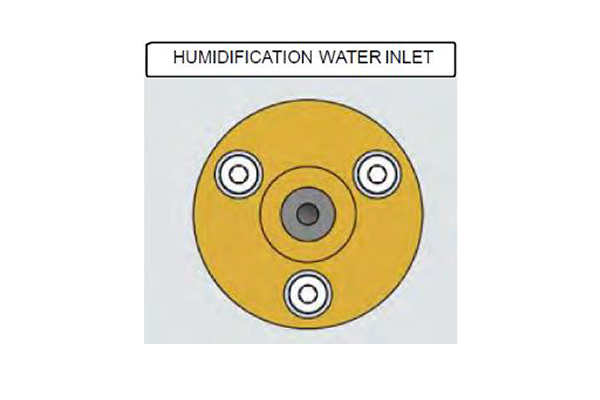 This principle permits high stability of parameters in conjunction with energy-efficient dehumidification. Temperature Measurement with Pt100 thermal probe Class A, max precision 0,3 K.
Relative humidity measurement with capacitive probe. 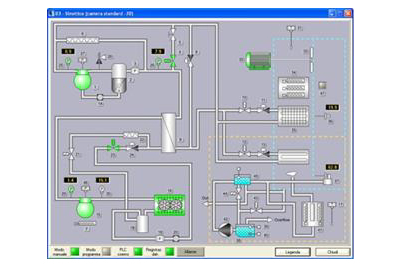 The regulation of the humidity is performed by the PLC programmer. 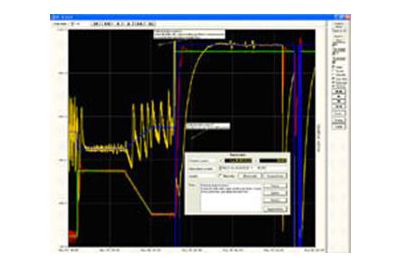 This allows extremely precise control of the programmed values. The Compact Test Chambers are equipped with the powerful KeyKratos Plus touchscreen control system, based on PID control through PLC. A trend chart for recorded variables available with a scale from -100/+200. Synoptic graphs for the chamber, low and high stage refrigeration. WINKRATOS® S/W package (running under Windows XP, Vista, 7) offers a powerful and flexible control and management system. Please select from the list the desired features to define the standard configuration; add the accessories if needed; fill the form with your contact data and forward the quotation request. In case you don’t have detailed info to fill all the fields, please select at least one field and fill the free space with some notes; you will be contacted from our sales network who will help you to select the most proper chamber to meet you requests. Your Environmental Test Chamber is not defined yet. 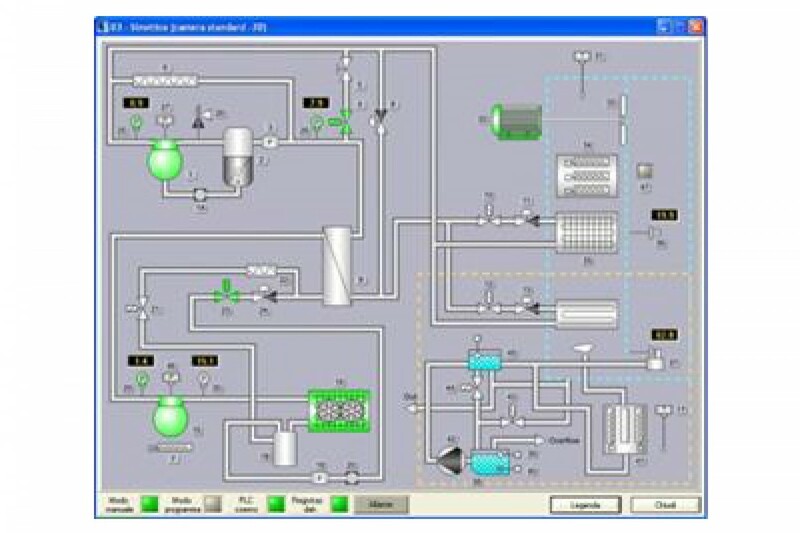 Please CLICK HERE to send a customized request or close the pop up and proceed with your Environmental chamber configuration. Let's subscribe to ACS newsletter to be up-to-date on the latest news, product launches and promotions.